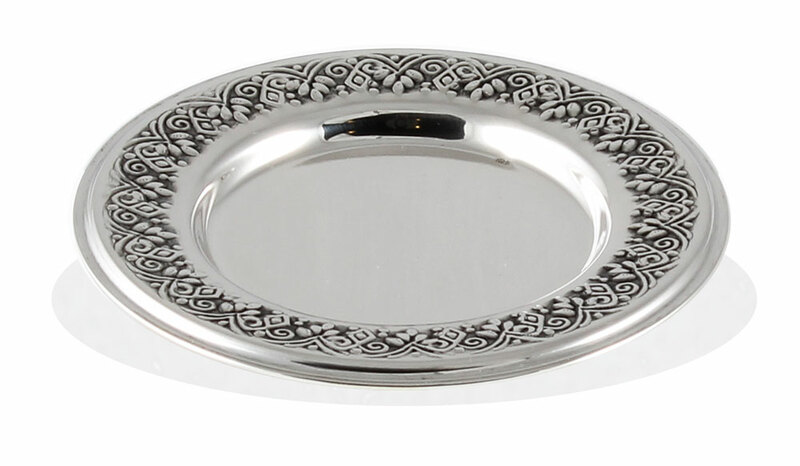 925 Sterling Silver Tray for Kiddush cup. Made in Israel. PRICE REFLECTS THE TRAY ONLY, FOR THE MATCHING Cup SEE ITEM NUMBER 1XCUP-203A. Height: Cup measures 4.5" H.